Inspired by the lavish life of Marie Antoinette, the Spring Collection includes seven delicious shades. Conatins: 1 x Gelish Soak-Off Gel Polish "My Other Wig Is A Tiara" 15ml, 1 x Gelish Soak-Off Gel Polish "Ruffle Those Feathers" 15ml, 1 x Gelish Soak-Off Gel Polish "All The Queen's Bling" 15ml, 1 x Gelish Soak-Off Gel Polish "All My Heart Desires" 15ml, 1 x Gelish Soak-Off Gel Polish "Beauty Marks The Spot" 15ml, 1 x Gelish Soak-Off Gel Polish "Curls & Pearls" 15ml and 1 x Gelish Soak-Off Gel Polish "Over-The-Top-Pop" 15ml. Let them eat cake and have it too with these opulent pastels. A bonus Gel Polish has been added, which you just can’t help but adore! Performs like Gel Polish, applies like Nail Polish. Stays on nails for up to 3 weeks with no chipping or peeling. Sanitize the nails and your hands. Shape the natural nail using your Hand & Nail Harmony File of choice, we recommend the Wooden File. Gently remove the shine using the Hand & Nail Harmony 100/180 Buffer. Remove the dust and wipe the nail with Gelish Cleanser, using a Lint-Free Wipe. Apply Gelish pH Bond to the nail plate. Apply Gelish Foundation Gel, in a thin application and seal the edges of the nail. Place hand in the Gelish LED 18G Light for 5 seconds OR UV Light for 1 minute. Apply Gelish Soak-Off Gel Polish of your choice, in a thin application from cuticle to free edge. Be sure to seal the edges of the nail. Place hand in the Gelish LED 18G Light for 30 seconds (20 seconds for light colours) OR UV Light for 2 minutes (1 minute for light colours). Repeat bullet points 10, 11 & 12 until desired colour is achieved. Apply Gelish Top It Off Gel Sealer from cuticle to free edge using a thin, light application. Place hand in the Gelish LED 18G Light for a further 20 seconds OR UV Light for 2 minutes. Wipe off the tacky surface with Gelish Cleanser. Finish by applying Gelish Nourish Cuticle Oil to the skin surrounding the nail. Gelish Soak-Off Gel Polish revolutionized the industry. 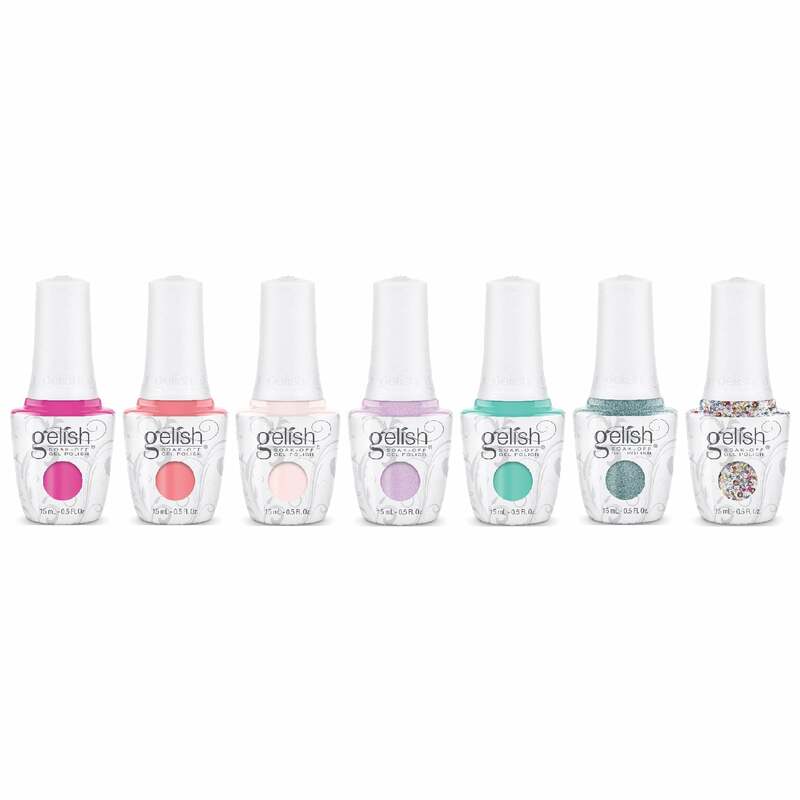 Gelish was the first Gel Polish to be packaged in a bottle with a brush as a quick, easy and efficient gel application process. Since 2009, Gelish has produced hundreds of colours and sold in over 80 countries worldwide.